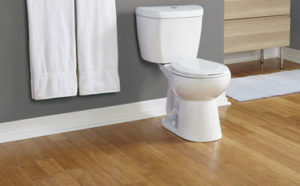 Even though cleaning your toilet tank isn’t on your list of weekly chores, you should still do this every now and then. This way, you can ensure that the mechanics situated inside the tank work accordingly, while preventing the buildup of germs and bacteria. 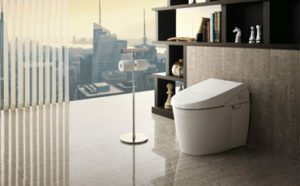 Plus, even the top-rated toilets require the right maintenance practices. 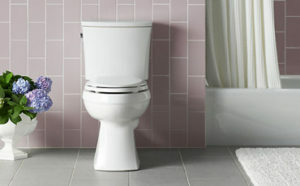 In fact, did you know that this simple habit could actually extend the lifespan of your toilet? 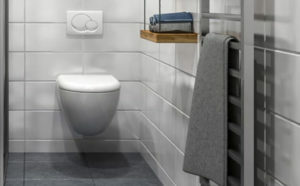 Essentially, the metal parts of the toilet tank are prone to corrosion, which could eventually cause bowl staining and other complications. That being said, let’s have a look at the things you’ll need to clean a toilet tank! 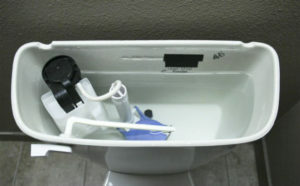 Now, before you start cleaning the toilet tank, you should drain the water from the tank. 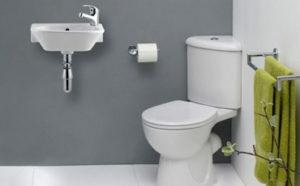 In order to do this, you have to locate the water valve – which is actually the tap vale on the wall. 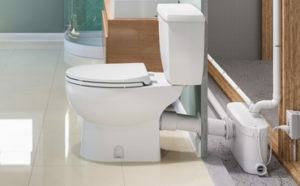 This could either be near the base of the toilet or on the wall behind – as in the case of some wall-mounted toilets. 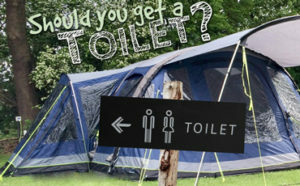 So, this depends on the model of the toilet. 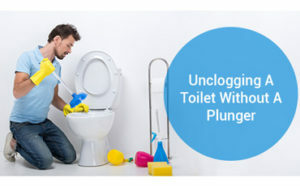 Once you do that, you should flush the toilet until there is no water left inside the tank. Depending on the flow rate, this could take up to three flushes. Now it’s time to do some damage control. How does the inside of the tank look like? Considering that the interior has a layer of dirt and grime, then this means you should simply scrub the surface with some disinfectant and that will do. 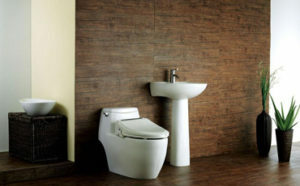 Nevertheless, considering that the toilet tank presents signs of discoloration, due to mineral deposits and dirt residue, you should definitely use vinegar. If you haven’t tried this method before, you will be surprised by its efficiency. In fact, vinegar is one of the most powerful natural all-purpose cleaners. It does wonders against mold, hard water deposits, and more. Nonetheless, you will need a lot of vinegar – so that it fills the entire tank. While it may seem like a lot, vinegar is not that expensive, so don’t worry about this. After pouring vinegar inside the tank, allow it to sit there for up to twelve hours or so. Remember, you shouldn’t flush. After the twelve hours have passed, you can proceed to flush the vinegar out. 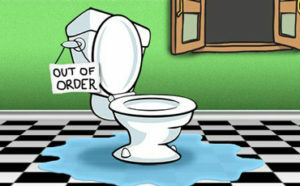 Once again, you might need to flush the toilet up to three times. After the vinegar has done its job, you can move on to actually scrubbing the inside of the tank. However, make sure you wear rubber gloves. Use a disinfectant cleaner and spray it along the walls of the tank. Make sure you don’t spray it on the metal parts, as this could lead to corrosion. For example, bleach is really corrosive. Generally speaking, you should allow the disinfectant to do its job for roughly 15 minutes or so. But, to be on the safe side, you should check the manufacturer’s recommendations on this. Now it’s time to do the actual cleaning of the toilet tank. We advise you to get a new scrub brush. Otherwise, if you use an old brush, you’ll just add other germs to the tank, which is the last thing you want, isn’t it? As for the size of the brush, it should be a narrow, long scrub brush, featuring medium-to-firm bristles. The shape should allow you to reach the corners of the tank so that you can do a thorough job. Essentially, make sure you scrub all the corners, around the fixtures, so that you get rid of all the buildup and grime. If necessary, you might consider adding more of that cleaning solution. Officially, the cleaning part of the tank is over. Now you should move on to rinsing the disinfectant. 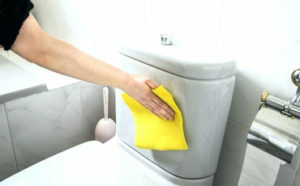 Preferably, you should soak a sponge with warm water, and use it for wiping the interior of the tank. 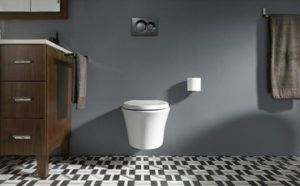 To conclude, all types of toilets – comfort height toilets, corner toilets, etc. – require adequate cleaning practices. One of them is to keep the tank clean. 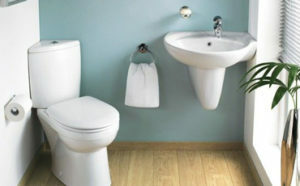 So, make sure you don’t overlook this if you want to ensure that your toilet functions accordingly.